It's time again for National Cask Ale Week, 29 March to 5 April. Haven't heard of the celebration, you say? There might be two reasons for that. It's only in its second year, and the "National" is Britain. The organizers include the Campaign for Real Ale (CAMRA) —which "campaigns for real ale, real pubs and consumer rights" in the UK— and the Cask Marque Trust —an independent voluntary association 'certifying' cask ale quality at pubs in the UK. ...the word Britain wasn't actually crossed out (although it looks like it I agree! ), it has the UK flag on it. I can send you the image if you like. Although we have no plans to involve other countries we are very happy for them to get involved - it is only a lack of resources to involve other countries which is stopping us. Could be something for the future though. All the best with anything you can organise and keep us posted on the best stories! In 2009, only a few (a very few) pubs in the US participated. [More: here.] 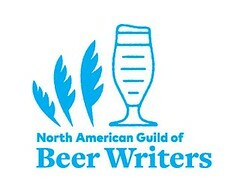 So, my open question to pubs and brewpubs in the United States: Will you be observing Cask Ale Week 2010? And, if so, what are your plans? On Friday, it's a Coconut Porter cask ale in honor of Cask Ale Week. Every Friday we have a different cask ale, usually one of our regular beers, and put our own little spin on it. Real Ale & BBQ Festival: 27 March. Special pricing on house-brewed cask ale all week; a glass-head firkin on 2 April. S.P.B.W. March Real Ale Festival: 20 March. cask ales from 6 breweries. Occurs before Cask Ale Week. New England Real Ale Exhibition: 24 - 27 March. 14th annual festival. Over 80 firkins of Real Ale. Half U.K. beers from England, Scotland, and Wales; and half American beers from New England. Occurs before Cask Ale Week. Lititz Cask Beer Festival (1st annual): 12-14 March. 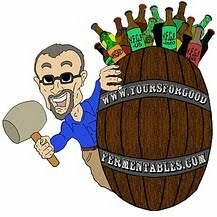 The Philadelphia Real Ale Invitational: 21 March. cask-conditioned ales from invited breweries, plus food and music. Occurs before Cask Ale Week. Bell's HopSlam Cask Tapping at ChurchKey: 29 March. The ONLY CASK of Bell’s HopSlam to make it to the greater Washington, DC region. Snake Dog India Pale Ale from Maryland's Flying Dog Brewery, which has had Simicoe hops added after fermentation for extra aroma. I'll update this page to include events as I receive responses. Add a comment below or email me. In 2009, an attempt was made to coordinate the worlds' largest toast ... to cask ale. The story here. The UK organizers on Facebook: here. Flying Dog Brewery and Church Key proud to celebrate Cask Ale Week on Thursday, April 1, starting @ 6 PM. Flying Dog Brewery an Black Squirrel announce another DC event celebrating Cask Ale Week for Wednesday, March 31, starting @ 6:30 PM. Look forward to seeing everyone out and about for our events to celebrate the Wonderful World of Real Ale!